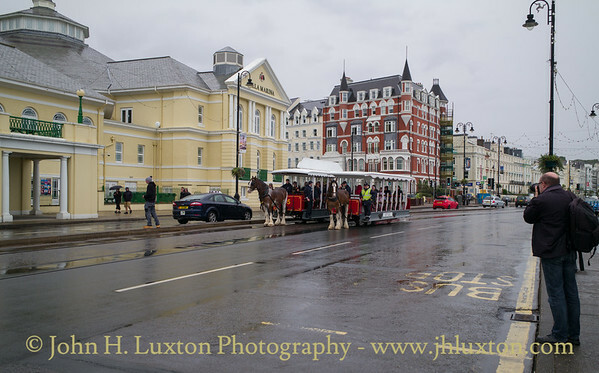 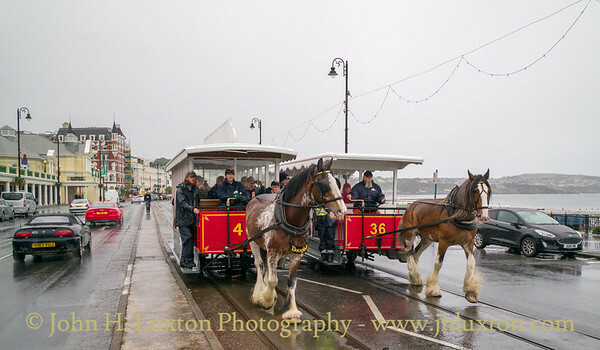 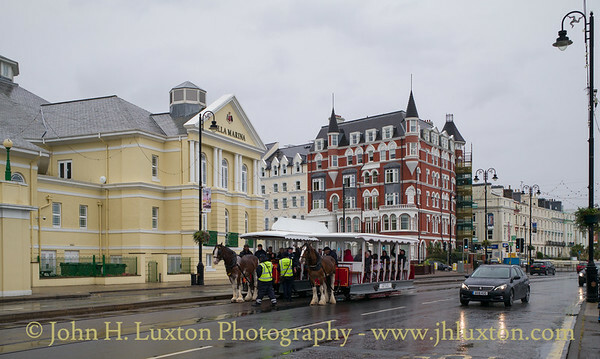 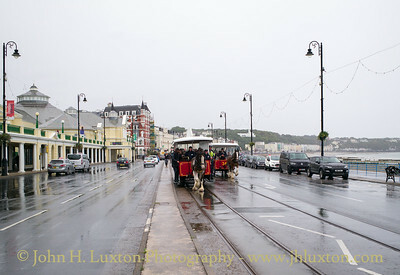 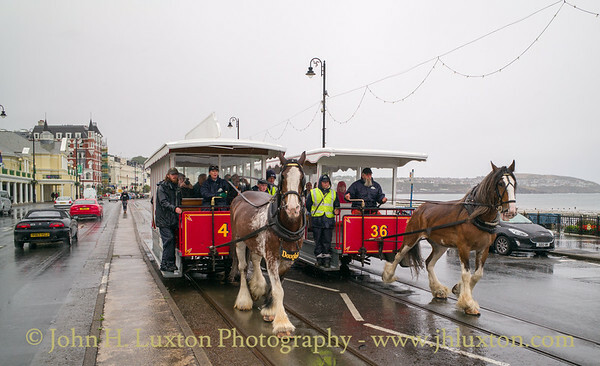 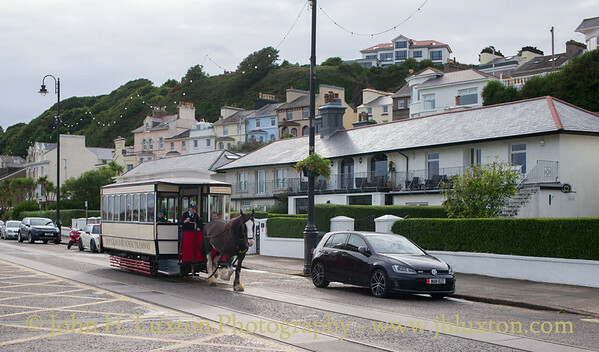 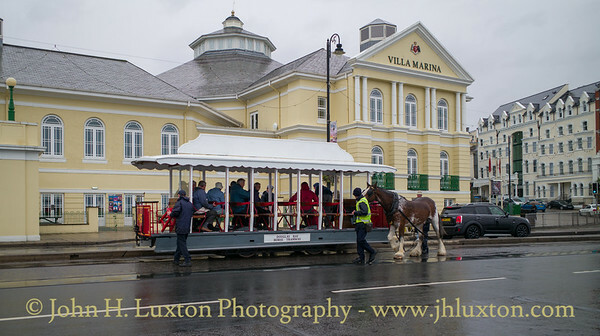 The only original passenger horse tramway operational in the British Isles. 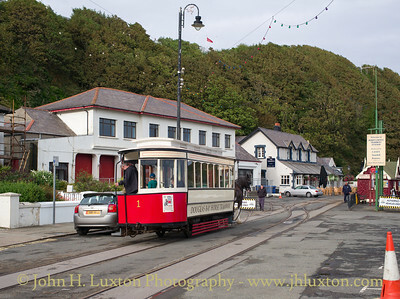 Douglas Corporation announced in January 2016 that the Douglas Tramway was closed and would not reopen for the 2016 Season. 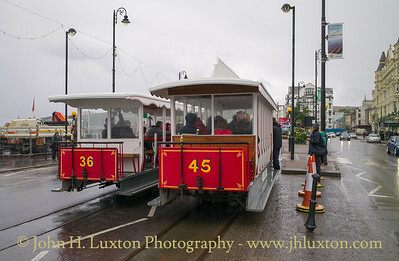 However, the Isle of Man Department of Infrastructure stepped in and is operating the Tramway as part of its Isle of Man Transport operation for an extended season from April to October in 2016 and April to early November in 2017. 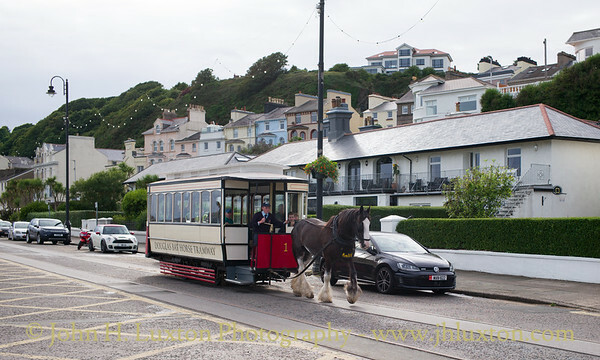 It is also anticipated that Isle of Man Transport will also operate the line in 2018. 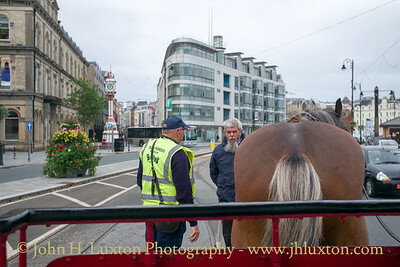 Going off duty. 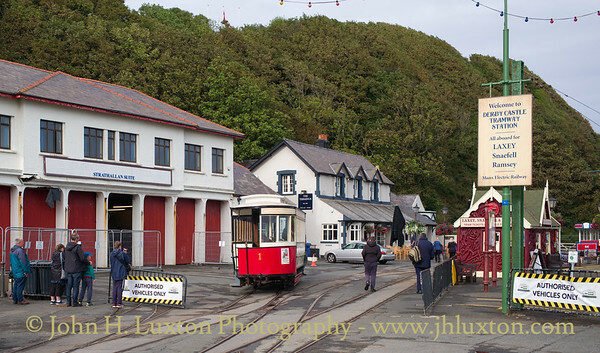 It is lunch break and car 36 has just gone off duty - the unidentified trammer is being led back to the stables. 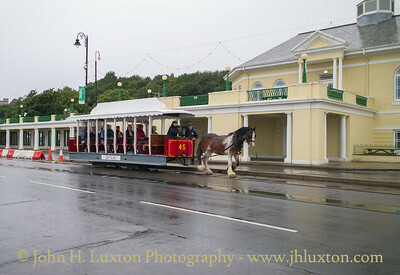 Trammer AMBY heads into Derby Castle Station with car 1 on the last service of the day from the Sea Terminal. 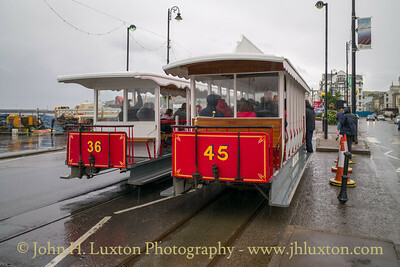 DOUGLAS and an unidentified trammer on the parallel run. 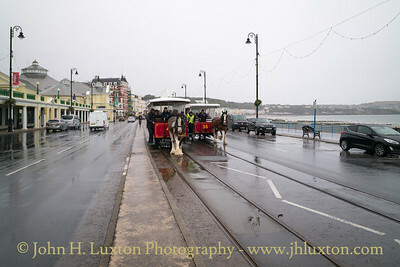 DOUGLAS has now been positioned ready for the parallel run. 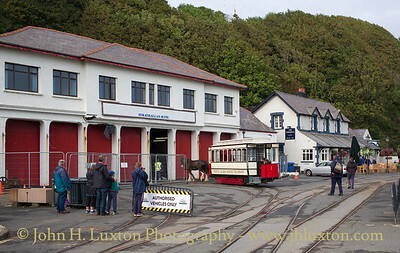 Trammer DOUGLAS being prepared for the parallel run between Broadway and the Sea Terminal. 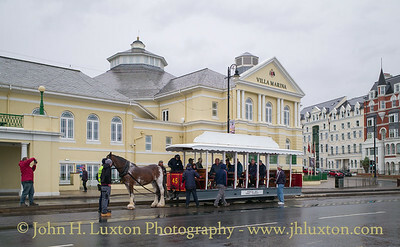 One of the features of the 2018 Isle of Man Transport Festival was parallel running along the promenade between Broadway and the Sea Terminal. 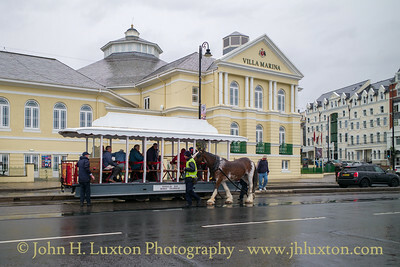 Here trammer DOUGLAS arrives at the Villa Marina where he will be positioned at the other end of car 45. 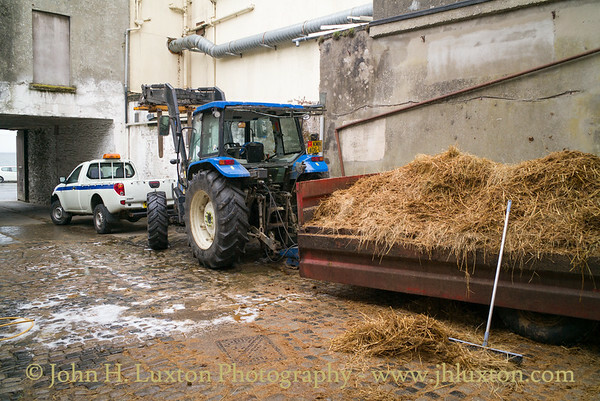 The yard - lower stables with the manure trailer. 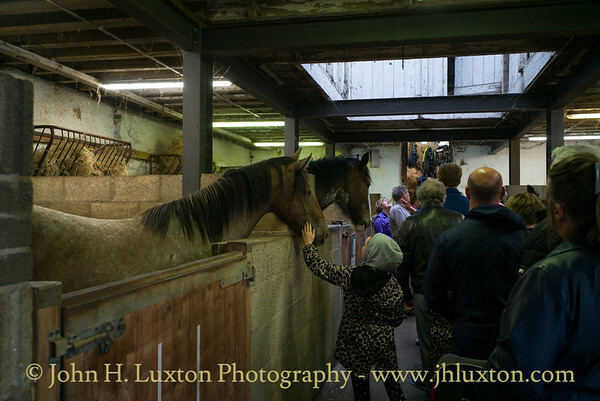 Visitors meet the horses in the Lower Stables. 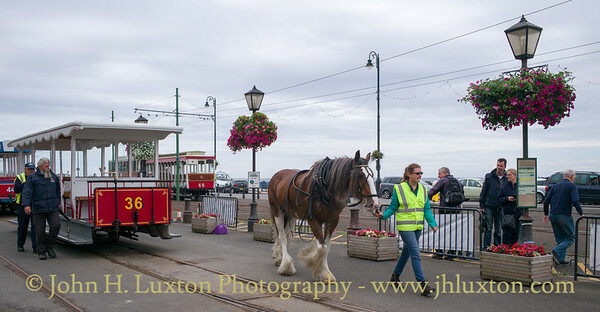 The horses are particularly fond of mints!